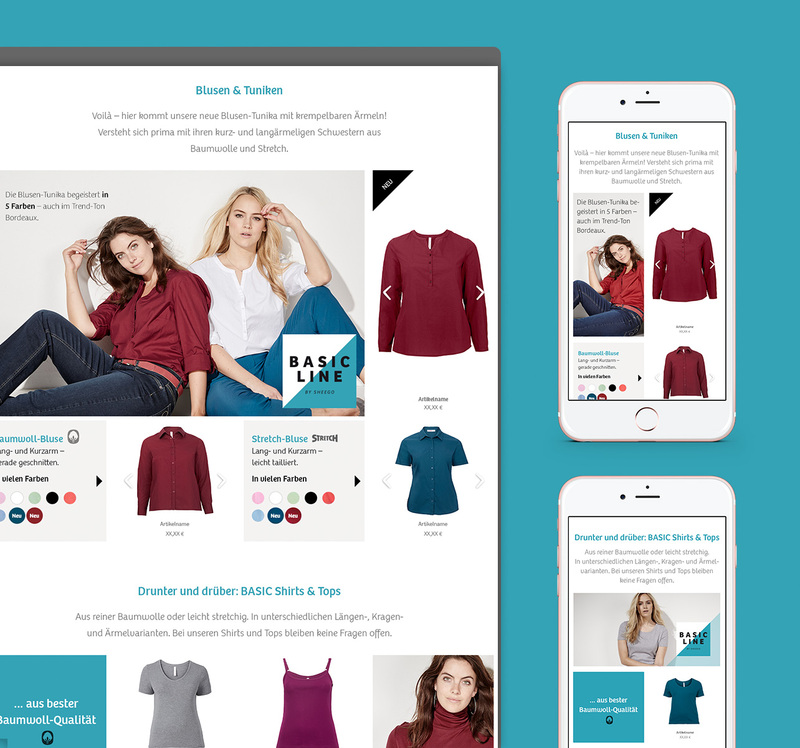 Develop UX and layout for fashion specials. The client aims to provide inspiration and present sheego fashions enticingly with each fashion special. 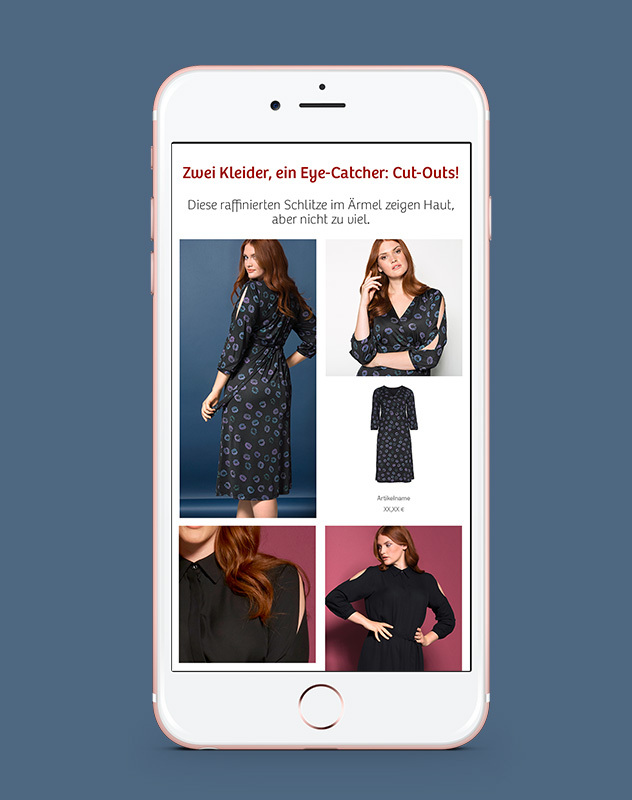 And that’s what we do – with a magazine-like design solution that lets the pictures work their magic without giving the shopping aspect short shrift.